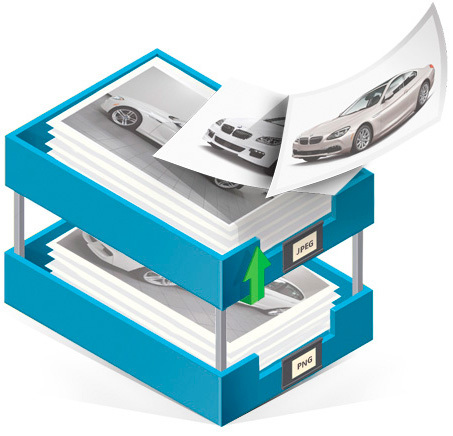 Photos are valuable assets in every dealership. In the automotive industry photos sell, they tap into the emotional aspect of advertising. Looking at photos of the exact vehicle on a dealer’s lot before driving to the dealership, allows customers to gain an understanding of what the vehicle looks like and to answer questions about the interior colors, vehicle options, condition etc. Give your prospects photos, lots of photos and use Autoxloo’s Photobox module to make it easier to upload all the images. Photobox takes your photos uploading process to a whole new level. Moreover, examine the time saving aspect of the Photobox module. Let’s take for example 20 vehicles with 30 images for each. The total amount to upload all 600 images will take less than 3 minutes. Impressive, right? The Photobox module is very simple to use. You don’t need to have any technical skills or install any software. Photobox displays only vehicles without images. You can sort and search through them by certain keywords. After you upload images for a certain vehicle, it will disappear from the photobox list of vehicles. Inside your DMS Inventory page instead of the alert for missing images you will see the number of images you uploaded for the vehicle. So you won’t be confused which cars have photos and which don’t. The photos you uploaded are stored in the library with preview ability. The larger version of the image can be displayed once you click on it. Made some mess? It’s not a problem. Just reset it and start over again. Full Control DIY (Do-it-Yourself). All images uploaded to Photobox should be in JPEG or PNG formats. What should you do if your photos are in a different format? That’s easy. Download our desktop version of the picture uploader and it will automatically upload images with correct format to Photobox. It doesn’t matter if you download the photos from a USB Drive or directly from computer. It’s photo marketing that will help your dealership build brand awareness. Autoxloo is saving you money and time, use Photobox. Let us take the stress out of your dealership.